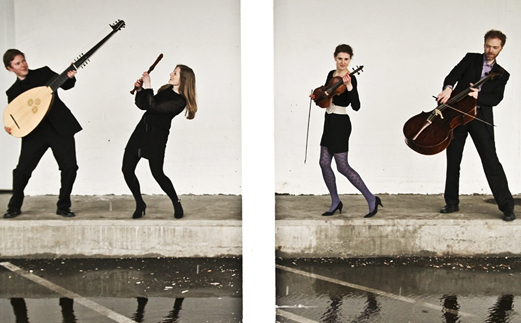 The baroque quartet Nattergal was founded by four of Norway's most respected baroque musicians: Ingeborg Christophersen, Karolina Radziej (baroque violin), Gunnar Hauge (baroque cello) and Erik Skanke Høsøien (theorbo). Nattergal explores the chamber music treasures from the renaissance, baroque and rococo eras and creates programme concepts that are interesting, innovative and catchy. Some of Nattergal's current programmes are: "The Battle! The elegant French versus wild Italians" (music by Vivaldi, Corelli, Rebel, Couperin e. a. ), "With Taffelmusik on the menu - A tribute to Telemann and his friends" and "Tyroler party - Early Italian and Austrian sonatas". In cooperation with Concerts Norway and the Ministry of Foreign Affairs, Nattergal has worked with cultural exchange between Norway and Bangladesh. The ensemble visited Bangladesh during November and December 2012 and collaborated with Bangladeshi art colleagues with school concerts in Norway arranged by Concerts Norway in September 2013. Ingeborg Christophersen and Jonas Høyrup have cooperated since 2004. The duo has an extensive concert agenda in and outside Scandinavia. 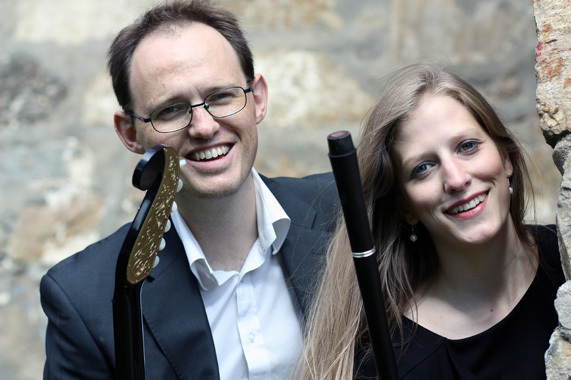 Since 2012, the duo has specialized in Austrian salon music from the first half of the 19th century written for csakan (a combined recorder and walking stick!) and Biedemeier guitar. During 40 years, more than 400 works were published for the csakan. The music is virtuosic and entertaining, yet fairly unknown. Duo Saloniste is also arranging music from other composers such as Schubert and Strauss. In order to extend the repertoire for recorder and guitar, the duo has previously cooperated with Nordic composers such as Mogens Christensen and Claus Gahrn.